You want to host a website in any of the several available hosting organizations and one of the services they are pushing is a dedicated IP for your website or hosting account. You are not sure what exactly that is, but they sure are using it as a major selling point to capture your attention. Well, here’s your clarification. IP basically stands for internet protocol and can be explained as the unique identifier or address that is assigned to every computer connected to a particular network. An IP can either be a shared IP or a dedicated IP. In cases involving websites, which is your area of interest, a shared IP is that single unique address that is allocated to be used by several websites within one web server. The server does the extra work involved to distribute the correct data to the correct website. A dedicated IP (also sometimes referred to as a static IP), on the other hand, ensures that your website has its own particular address which can be used to access the website from the web. What then are the selling points of using a dedicated IP for your website? When should you prefer to use dedicated IPs to using a shared one? You should use dedicated IPs when stability is a key factor to be considered when hosting your site. A dedicated IP offers stability in the sense that it allows the opportunity to control the reputation of a site by the owner (you), making it independent of any other website whose activities can affect your site as is in the case of shared IPs. More so, you should use dedicated IPs if there’s the requirement to constantly access your website. A dedicated IP provides the ability to get access to the web server directly without the hustles of changing the DNS (Domain Name Server) settings for the domain name. Dedicated IPs also isolates you from your emails being blacklisted for spamming which can arise from other users in a shared IP whose email activities have been also been previously blacklisted. The reputation of your website’s email service is, therefore, maintained making it beneficial to you the account holder. A dedicated IP address in essence makes it way easier for clients or general consumers of your emails to perform their whitelisting of your email service by just using the unique IP. If and when used properly, dedicated IPs also offer the advantage of higher delivery rates for your emails. Email reputation is definitely a feature offered you do not want to forego. In the case where your website deals with online shopping or e-commerce in general and you have decided to forego other third-party services for taking care of the payment parts of business, you should use dedicated IPs to ensure your customers feel secure in making online transactions involving money on your website. A dedicated IP and the complementary SSL certificate ensure that no other websites’ activities will compromise the security of your online business thus a major plus for your business identity. Sometimes, some important third party application or scripts may require that you use dedicated IPs for them to run on your website. They may be completely important or necessary to your website hence the need to get yourself a dedicated IP address. You may also have heard of the now more than important Search Engine Optimization (SEO) and indexing that has become a must do for the success of your website. Well, a dedicated IP address will be completely beneficial in that it is more trusted than having multiple links coming from the same IP address as in the case of shared IPs. Search engines like the great Google make use of the website’s IP address to determine if inbound links can be trusted to interact with your website. A dedicated IP are hence advantageous in their positive impact on the results of Search engine optimization and indexing by resulting in a higher search engine ranking. Your website is, therefore, indexed faster by the available search bots.You should use dedicated IPs also in the event that you want to avoid issues of your website on some older versions of the web browsers. Due to the cPanel updates that support the SNI technology that allows for the installation of many SSL certificates on shared IP addresses, issues have arisen where users operating with some older browser versions receive a prompt message that display information concerning untrusted connection. A dedicated IP address aids in avoiding all those issues.As mentioned earlier, a dedicated IP address allows for direct access to your website. This can come in handy when the domain name is for various reasons not accessible, for instance during periods of domain name propagation. This direct access is also beneficial in instances of high traffic load periods since it ensures faster response of your website since after all the traffic flowing to that IP is only that of the single website to which it is dedicated. 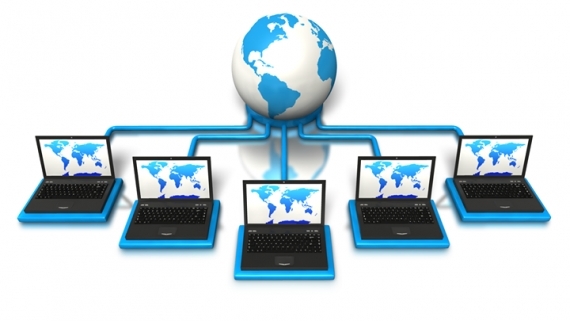 Another advantage of using a dedicated IP service is the guarantee of less downtime. Each time an IP refreshes to determine the websites currently hosted on it, there is the risk of server downtime which can be a major turn off in time sensitive cases such as in online gaming websites. Above all, finally, you should use dedicated IPs to benefit from the one clear advantage that they give you the allowance to do more with your server. For instance, you can run a File Transfer Protocol (FTP) server using the dedicated IP. For entertainment, you can also use the dedicated IP to run a server to use for gaming purposes. Cool huh? In conclusion, though most websites you may need to host will run fine in a shared IP server environment, the benefits of using a dedicated IP service are clear to understand and offer that extra edge in those online services that will need that extra specific requirement. My take, if you prefer your privacy, efficiency and security in your online products, don’t hesitate to take up that offer.